San Antonio, Texas, is a flourishing metropolitan area with small-town sensibilities, making it a fertile environment for the city’s community bankers—and this year’s ICBA Community Banking LIVE event. 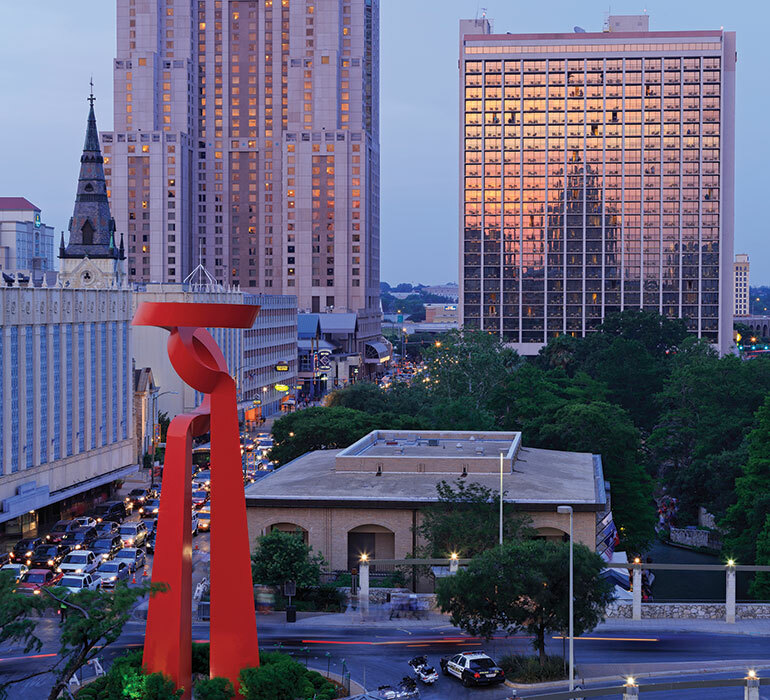 A vibrant hospitality sector and a large military presence have long fueled the economy in the Alamo City, where aerospace, bioscience, information technology and other industries now also drive commerce. San Antonio, the seventh largest U.S. city and the second largest in Texas by population, is a “dynamic business market” and international city that engages in significant cross-border trade, Williston notes. Founded in 1718 and known for the Alamo and River Walk tourist attractions, the city is “also a very popular national and international convention destination because of its uniqueness, and so the local economy is extremely strong,” he says. The accelerating influx of new residents reflects San Antonio’s economic health. From July 2014 to July 2015, the greater metropolitan area added more than 51,000 people, making it one of the 20 fastest-growing metro areas in the country and bringing its population to nearly 2.4 million. All of that expansion translates into strong demand for commercial and residential real estate and small-business lending, as San Antonio aims not only to attract new corporate business through financial incentives and foreign trade zones, but also to generate a hip vibe with trendy restaurant, shopping and boutique hotel districts. The city’s traditional small-business base, meanwhile, remains a staple for community banks. “It’s a big little city,” says Robert Potter, chief lending officer and executive vice president of the $250 million-asset Lone Star Capital Bank, whose portfolio mainly comprises small to medium-sized commercial real estate developments, owner-occupied developments and investor real estate. Community banks hold 60 percent of the market’s bank deposits, a higher share than their counterparts in larger Texas markets hold, says Marvin Rickabaugh, San Antonio region president for market deposit leader Frost Bank. Frost was founded 149 years ago, operates across Texas, is ranked among the country’s 50 largest banks, and holds almost $30 billion in assets. The San Antonio-New Braunfels metro area—Texas’s third-largest banking market in deposits—had 61 institutions with nearly $103 billion in deposits as of the third quarter of 2016, according to the FDIC. Those figures don’t include several credit unions, such as the large Security Service Federal Credit Union, key competitors of the city’s community banks, several of which are chartered in San Antonio. In addition to community banks and credit unions, regional and national banks including Wells Fargo, Bank of America and JPMorgan Chase do business in San Antonio. The city also is headquarters for USAA Federal Savings Bank, which serves military families. With San Antonio unemployment at 3.7 percent in October 2016, compared with a 4.9 percent national rate, and the local labor force expanding, the market is “very active,” with a lot of real estate activity, including high-dollar mixed-use and multifamily residential projects to provide housing for people closer to town, Rickabaugh says. 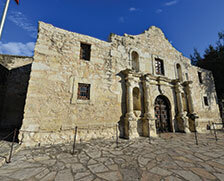 The Alamo was so named because it was situated in a grove of cottonwood (álamo in Spanish) trees. The large military presence—four installations comprise Joint Base San Antonio, directly and indirectly employing more than 280,000 people—adds stability to the area, although less since Kelly Air Force Base’s 2001 closure, Rickabaugh says. It also generates market competition, with military-focused credit unions and USAA centered on service members’ business, he notes. That stability has offered San Antonio some protection against economic downturns, including the financial crisis of nearly a decade ago. “We didn’t go down as far, [but] we didn’t go up as fast either,” Rickabaugh says. Cliff McCauley, Frost’s senior executive vice president, says the market has been “blessed and cursed” with liquidity, “so there are lots of dollars chasing every deal.” Despite the vigorous competition, Rickabaugh expects that more banks will enter the market. Statewide, loan demand is good, with loans to assets at about 70 percent on average, “which is very high and very healthy,” IBAT’s Williston says. Most Texas banks have fared well over the past five years, although margins remain around 3.5 percent or lower, he says. “Small-business and commercial real estate are still extremely big among the community banks,” IBAT’s Williston says, “and that seems to be a good market for them.” The future looks “exceptionally good” and will remain highly competitive for the city’s community banks, he says. In 1939, the city’s famous River Walk received money from the Works Progress Administration, part of President Franklin D. Roosevelt’s New Deal, that funded construction of 17,000 feet of walkways and about 21 bridges. Dinah Wisenberg Brin is a writer in Pennsylvania.